The contemporary kid can’t get enough of the Shopkins collections. 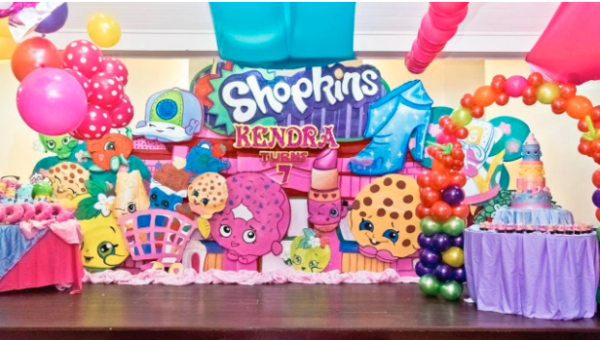 Shopkins started as a brand for girl toys but has now emerged into a vibrant brand and now is one of the most requested party themes for girls. Every girl would love to have the Shopkins birthday party! The party has also seized the imagination of some boys. 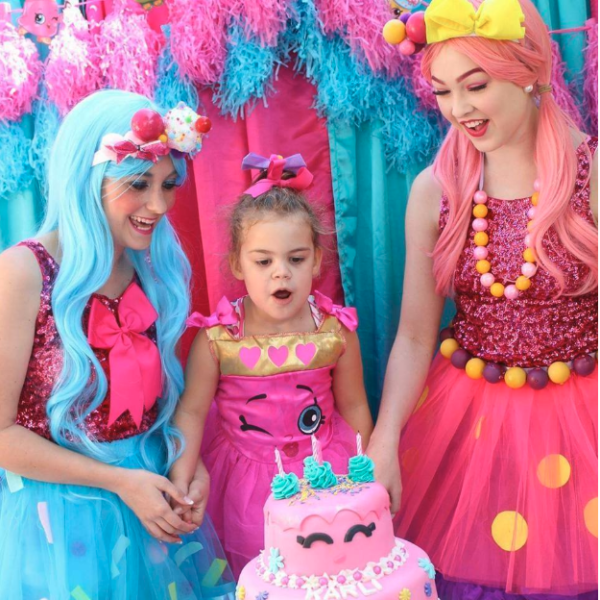 Whether you want a few accessories to sweeten up your kid’s birthday party or you want to immerse the whole event into a Shopkins themed party, the craze is sure to excite your kid and completely blow her and her guests’ mind. Are you looking forward to preparing a birthday party for your adorable kid? Well, the following tips will help you set up a Shopkins themed party that will blow out your mind. First and foremost, you should get a Shopkins pack. This is the primary essential since it contains the theme plates, cups, and napkins among others. With the Shopkins pack in place, it is easy to make your event unique. Additionally, it sets up the theme color for your birthday party. You should go for anything bright pink, green or yellow, which is perfect for a Shopkins theme. 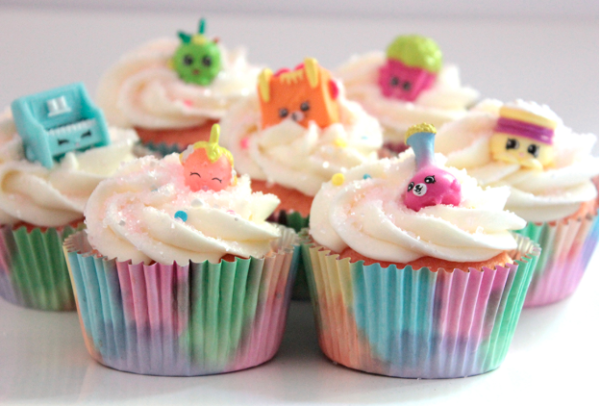 Essentially, the brighter, the better for Shopkins themed parties. 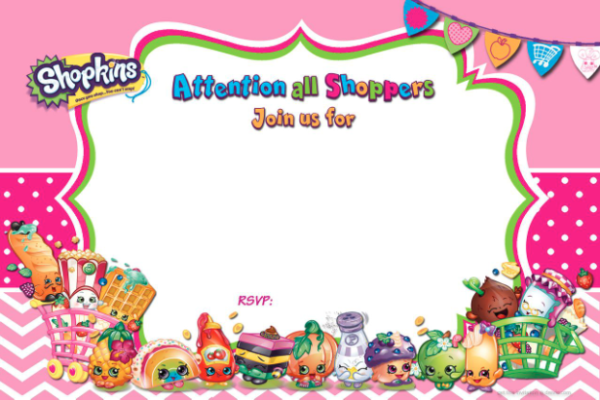 Shopkins party supplies will definitely come in handy when you are planning a blast party! Shopkins are known to be the hottest toys currently. Since they have become the most popular party theme for girls, it feels great to incorporate them in party invitations. Invite your guests with colorful party invitations. If you want a thrilling event, then ensure decorations bring out the fun. This is where your creative juice should really come out. You may get plenty of Shopkins balloons and bunting to decorate your venue. To add some splash of color, try to consider mixing the themed decorations with plain ones. Did I say anything bright is just perfect for this? With a Shopkins party, there is so much variety of foods to choose from. You simply take inspiration from Shopkins characters themselves. For instance, you may select from the following six characters to feature in the menu for the Shopkins party. Believe you me; you still can search for more foods for the feature. At this moment, you have covered your tableware, decorations and party food. 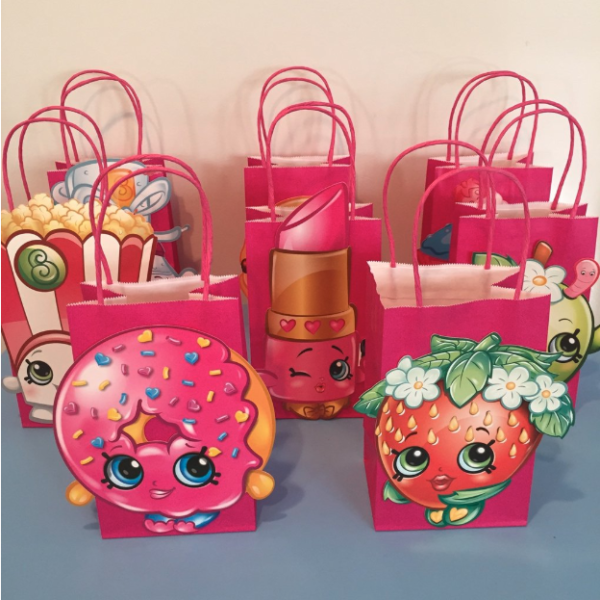 The next thing is to Shopkins party bags ideas. No kids’ party would look great without them, and Shopkins lends itself pretty well to cute little party bag favors. You are supposed to create a small shopping area on your table, then allow your guests to go shopping bearing the following ideas. So amazing is this activity that after the quests have loaded their shopping bags, they can leave with favors in hand. Wait a minute, did I mention photo booths? Not yet. Well, they also double as favors. The Shopkins photo props are equally amazing to your guests. This is not the only activity for your quests; you may create as many as you would wish. Wow!, this party gets so amazing! Here, you should focus on making your little girl look just like a Shopkin! Don’t worry about how to choose the appropriate dress for her. You need to get her a dress that matches the accessories from the colorful characters. And a strawberry Kiss costume has never looked this adorable! A Shopkins themed party is never complete without games. This one caught my attention at a previous Shopkins party I attended. The Shopkins supermarket sweep – The Shopkins motto goes like “once you shop, don’t stop” this game thrills the kids. Here you set up a room for the game, where you hide some groceries. Then invite kids in turns, and give each 30 seconds to find them. The kid who finds the most stuff in 30 seconds carries the prize. No better game for kids than this one. The essence is to keep the kids busy while making it fun all through. Try to come up with many games for your birthday party. How about decorating the cupcake? You should start by coloring your frosting. Consider working with smaller amounts of frosting for small amounts of dye. Just add enough dye to make it bright, and not too much or your frosting will start to taste gross! Scoop some frosting into a cup, add the dye, and then mix it well with a spatula. For a Shopkins birthday themed party, this is an essential aspect of the party to take care of. The drinks menu should be entirely Shopkins inspired, much to the delight of the children. Children love pink glazed donuts, cookies, popcorn, mini muffins, pretzels, and, of course, a huge Cheeky Chocolate cake.